Sandblasted finish may be the all-time most requested finish. I held off offering it for years, until finally relenting late 2017. The source of this hesitation is NOT its scratchability. 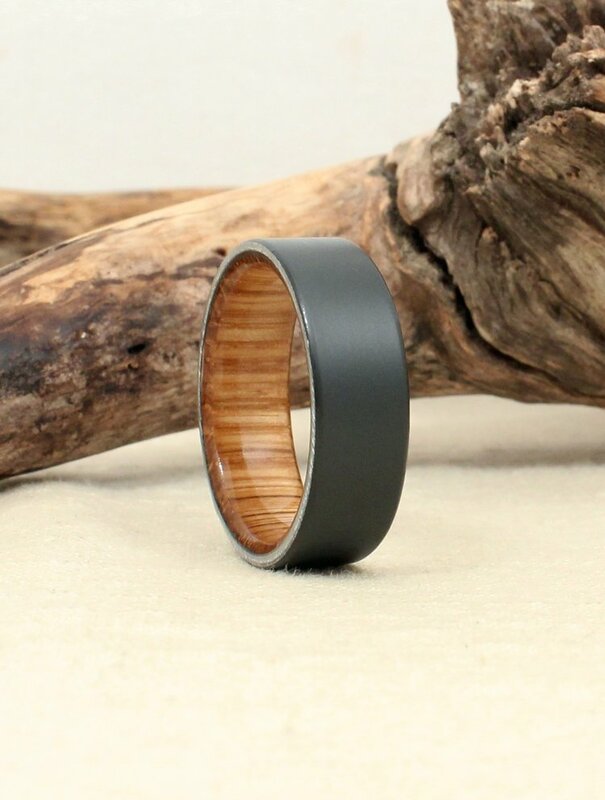 To be perfectly clear- a sandblasted cobalt ring has the same hardness as any other cobalt ring; a sandblasted black zirconium ring has the same hard-as-sapphire oxide coating. The problem has to do with the orientation of sandblasted material at the microscopic level. Imagine, if you will, long grass. As you walk through this grass, your footprints - areas where you have bent and crushed the grass- are clearly visible behind you. You have not broken or cut the grass; you have not scratched it. Similarly, at the microscopic level, the metal is raised and textured like grass. It is easy to bend this texture, leaving an impression. This gives the appearance of having been scratched. This is almost certainly going to happen to a sandblasted ring, and quickly. This is a normal and unavoidable part of a sandblasted ring. Important note: some customers who believe that their ring is scratched find that their ring has, in fact, scratched metal off of another object. An example: a sandblasted cobalt ring shows a yellowish smudge/scratch. It has scratched brass off of a doorknob (because the ring is so hard). This can be rubbed off with pencil eraser. This sort of thing happens all the time with black zirconium, and it is especially noticeable because its black color contrasts strongly with the scratched material.